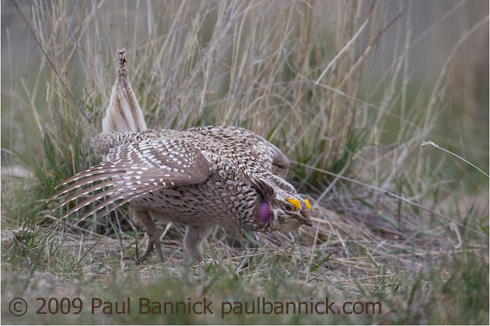 A determined dry-land wheat farmer and a visionary baker are trying to help a bird in trouble, the Sharp-tailed Grouse. The farmer, Wade Troutman, leaves 30% of the land he farms in its natural condition. The undisturbed patches of sagebrush habitat provide cover and food for grouse and their young. The baker, Jeff Weissman, owner of Great Harvest Bread in north Seattle, offers Wade's Wheat Bread in his bakery. "Community supported agriculture" projects help farmers such as Wade Troutman. You can probably find a group near you! This is the story of a determined dry-land wheat farmer, a visionary baker, and a bird in trouble, the Sharp-tailed Grouse. The farmer, Wade Troutman, leaves 30% of the land he farms in its natural condition. The undisturbed patches of sagebrush habitat provide cover and food for grouse and their young. But to farm this way, Wade needs a market for his wheat. That’s where you and I come in. We have power as consumers. It’s good to learn where your food comes from. 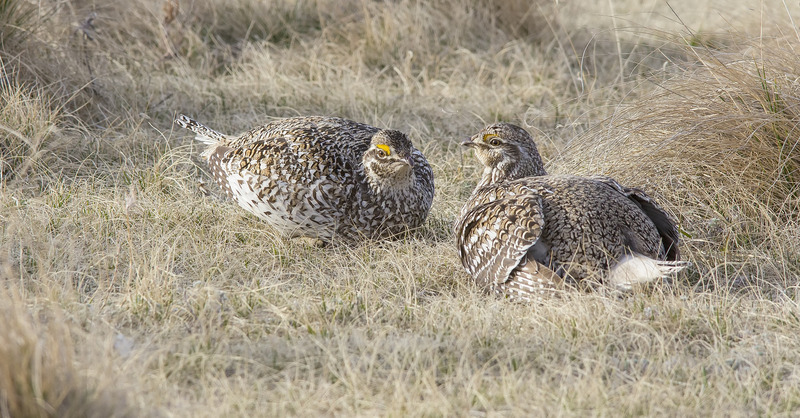 You might find a way to support those who, while feeding people, protect habitat and birds… like the Sharp-tailed Grouse. There’s more at our website, BirdNote.org. I’m Mary McCann. Sound of Sharp-tailed Grouse provided by The Macaulay Library of Natural Sounds at the Cornell Lab of Ornithology, Ithaca, New York and recorded by G.A. Keller. "Community Supported Agriculture" - Find a CSA near you!